Your work desk is a sum of its parts. Every component from that tear-off calendar to the half-dozen scribbled stick-it notes is a reflection of your daily affairs. The mouse pad, being one of the office accessories that sits front and centre, adds to the overall vibe of your work station. It goes without saying that an ordinary mouse pad doesn’t contribute to the vibe in a meaningful way. The average pad is made from inexpensive polyester. It performs its basic function and has a mildly comfortable surface. 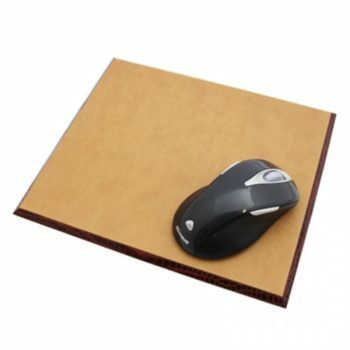 A Marlborough of England leather mouse mat, by comparison, is made entirely by hand from Nubuck material. 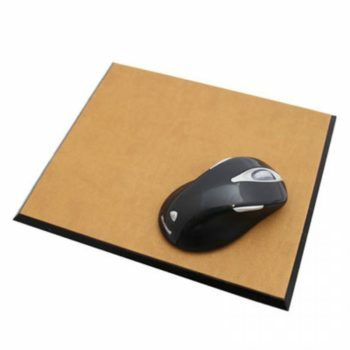 This gives it a soft surface for the hands and wrist to rest on, all while providing a stable and solid area for effortless gliding of the mouse. 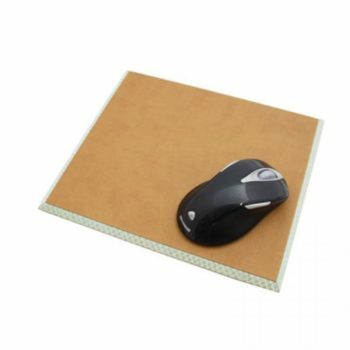 Our mouse mat complements all types of work desks, from the small cubicle to a home office. It provides a nice contrast to a desk that may otherwise be run-of-the-mill in appearance. If combined with other premium accessories like our leather blotter, our mouse mat can turn your desk into a work station fit for a CEO.